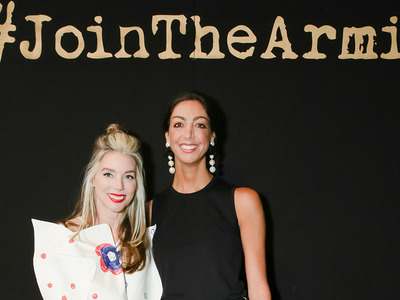 ArmariumArmarium founders Alexandra Lind Rose, left, and Trisha Gregory. For anyone who has ever needed an outfit for a fancy event, you know the pain of shelling out hundreds of dollars for an outfit you’ll probably only wear once. 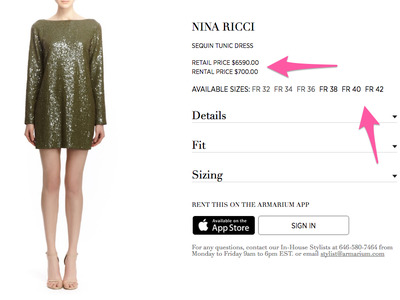 And if you’re a consumer of high-end fashion, you’re not shelling out hundreds — you’re shelling out thousands. This is where Armarium hopes to step in. The startup is young — it only just launched out of beta on June 1st — but it’s targeting a very specific demographic: women who wear expensive clothes and follow fashion, but either have trouble finding designer fashion — runway styles are rarely sold in stores and are typically not accessible to average consumers — or just don’t have the time or closet space to buy the pieces they want. If you’re thinking this sounds pretty similar to Rent the Runway, you’re not alone. But Armarium has some key differences besides the luxury price point that founders Trisha Gregory and Alexandra Lind Rose think will help it attract a following. I got try out Armarium from start to finish. Here’s what I thought. 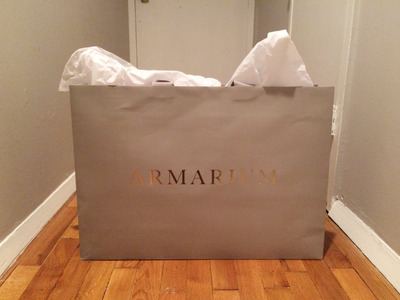 There are a few ways to access Armarium clothes -- one way is by logging onto the website or scrolling through the app. For those outside New York City, the website or app is your best bet. Here, you can scroll through clothes, bags, jewellery, and accessories. Aramarium only ships domestically at the moment, but shipping is free and the company sends a return label and packaging. Armarium also handles dry cleaning. I was greeted with mannequins dressed in couture, racks full of clothes and jewellery -- and the offer of a free mimosa. 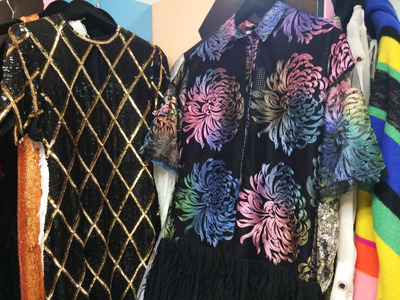 My stylist, Dani Stahl, who's also style director at Nylon Magazine, met me soon after and asked me a few questions to get us started: what colours and styles I like to wear, if I have any favourite designers, and whether I had any big events coming up. These clothes also came with a pretty hefty price tag. 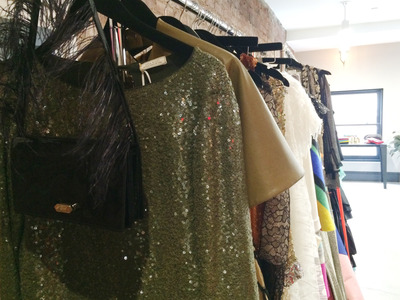 On the site, I could only find 18 dresses that rented for less than $250. For a 24-year-old journalist, these clothes weren't exactly in my price range -- but, like Gregory said, I'm not in the company's target demographic. 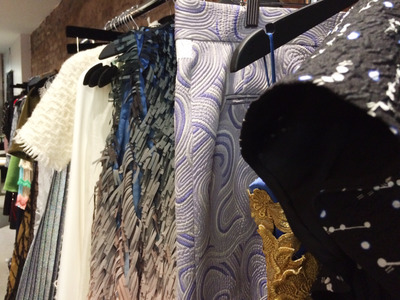 Armarium is targeting a slightly older, more sophisticated shopper. 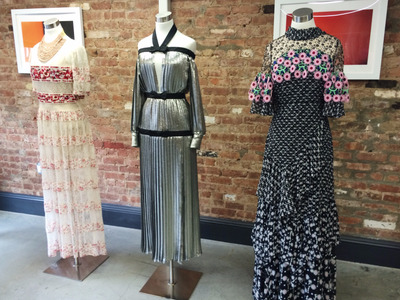 There's also designer jewellery and handbags to choose from, because Armarium wants women who use the service to be able to rent a head-to-toe look. The bags and accessories rent for significantly less money than the clothes. 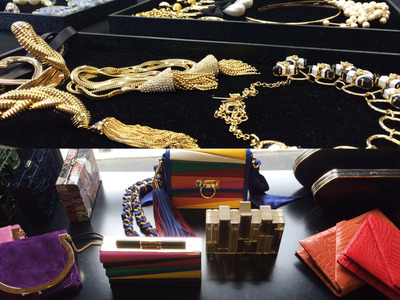 There's a huge assortment of jewellery for less than $75 and some reasonably priced handbag rentals. 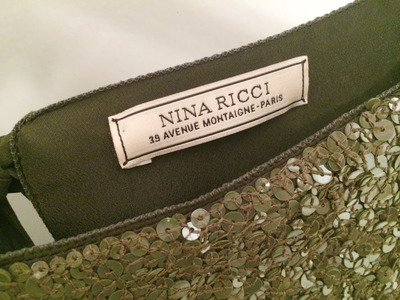 helped me pick out this Nina Ricci dress, even suggesting which shoes and bag to pair with it. 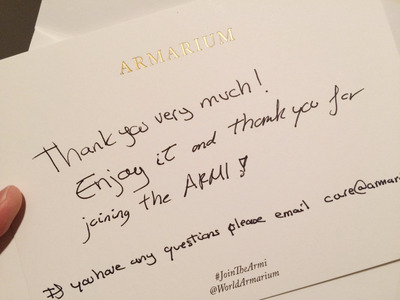 Armarium calls its clients the 'Armi' and has cultivated a group of men and women called the Armi 400 -- a group of tastemakers and influencers from across the U.S. who get first access to new products and discounts on rentals. Gregory and Lind Rose rely on the Armi 400 to tell them about new styles and trends they see and to suggest new designers to include on the app.